Welcome to the How To Do Library Research guide! Use the menu on the left to get research advice that will help you successfully navigate the Libraries' print and electronic collections. If you're new to the Libraries, you may want to visit our Services for Undergrads page or Services for Grad Students page to learn about the library resources and services that are available to you. 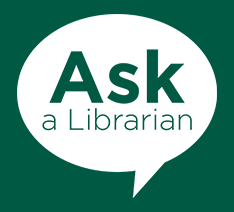 If at any point you need help, you can Ask a Librarian or consult the Libraries' tutorials. Depending on your topic and type of assignment, the resources you'll need for your research may include books from academic publishers, articles from scholarly journals, data and statistics, primary sources, articles from trade journals and popular publications, government documents, standards, images, music, videos, and more. All of these types of sources can be found in the Libraries and on the Libraries' website. When getting started on a research assignment, the first thing you'll need to do is make sure you understand the scope of the project and your instructor's expectations. In addition to carefully reading any assignment prompts, directions, rubrics, etc. that your instructor has provided, you may also want to consult these tips and tools for specific types of research assignments and writing in particular fields. Once you've familiarized yourself with the particulars of your assignment, you'll need to start thinking about a topic. If you're choosing your own topic, the next section of this guide, Selecting a Topic has useful advice on that. If your topic has been decided for you, you can jump ahead to Search Strategies. Before you dive in to your research, you may want to make a time management plan to help you stay on track. The Libraries' Research Project Calculator can be used to plan your research and writing with an eight-step process.